Saudi Arabia’s recent reversal of the September 2016 reduction in public sector salaries and benefits is a troubling sign. It could be a signal to bond holders that the Saudi government is not committed to the economic reform agenda, its Vision 2030 plan, which predicated the government’s pitch to investors and lenders over the last year as a revolution in fiscal policy and path to economic diversification away from oil. Some investors will see this as a bait and switch. If the reform agenda stalls, credibility with investors will decrease. With so much expectation and buildup to the Saudi Aramco initial public offering, maintaining credibility on the part of the government to hold steady on its reform plans, including the recent reduction in Aramco’s tax rate, will be essential. Some analysts argue the restoration of bonuses and allowances could also be a shrewd technocratic move to boost consumption at a moment when the Saudi economy is not growing much and at risk of recession. Or, it could be a political reaction to soothe discontent at the increasing cost of living for middle- and lower-income Saudi citizens. Just two days before public salaries and benefits were reinstated, however, Deputy Crown Prince Mohammed bin Salman presented public opinion data showing Saudis have largely welcomed the Vision 2030 economic reforms. The problem with fiscal policymaking in the Gulf Cooperation Council states is that it is not always clear what (or who) informs decision making. In fact, a head of a fiscal policy unit in a Gulf state this month said, “Quite frankly, there is no fiscal policy.” Economists and advisors to the department or ministry of finance create a budget and suggest savings, only to be informed of policy changes at the same time the media learns of decrees. And often the advice and outlined budget are very different from the decree. The distance between capable technocratic advice and policy implementation can be substantial. In the Gulf states, waffling on economic reforms has additional costs above investor credibility and budget deficits. The reform volatility confuses citizens who are on the brink of fundamental changes in their relationship with the state. The economic reform agenda will test society’s trust in the government. In spite of the flurry of policy changes, there is some cautious optimism in spaces where the state has less control. In my visits to Saudi Arabia, the United Arab Emirates, and Qatar this month, I found some encouraging economic behavior among citizens and foreign residents. Society is dealing with the waffling and the general period of uncertainty over what new reforms await them in taxes, reduced wages, increased visa fees, and reduced subsidies to utilities and fuel with some innovative microenterprise and mobility. People are literally taking to the streets – not in protest, but rather in commerce and the appropriation of public spaces. 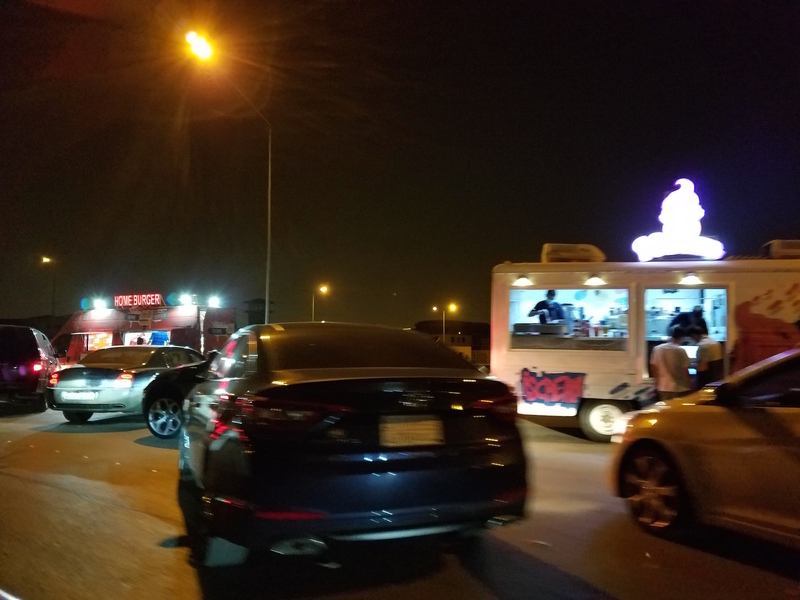 In Riyadh, I saw some incredible changes in street life, mobility, and the use of public space that would have been impossible even a year ago. The food truck trend is in full swing. In areas where the government is not involved in regulation, either to impose a tax or moderate behavior, people are creating microbusinesses that cater to urban and youthful tastes. A new open air mall, with a large fitness center and outdoor cafes, was bustling near midnight on a weekday evening. Women and men were out walking as families and young people weaved on foot between cars stuck in traffic waiting to find parking. There was street life. For most people, it was not a luxury shopping night out, but a chance to enjoy being outside and maybe buy an ice cream or a snack from a street vendor. As bank analysts have confirmed, investment activity in Saudi Arabia remains weak. Abu Dhabi Commercial Bank found that Saudi Arabia was the only GCC state to see a fall in project awards in the first quarter of 2017. It also reported weak demand for capital and consumer goods in Saudi Arabia, both in late 2016 and the first quarter of 2017. 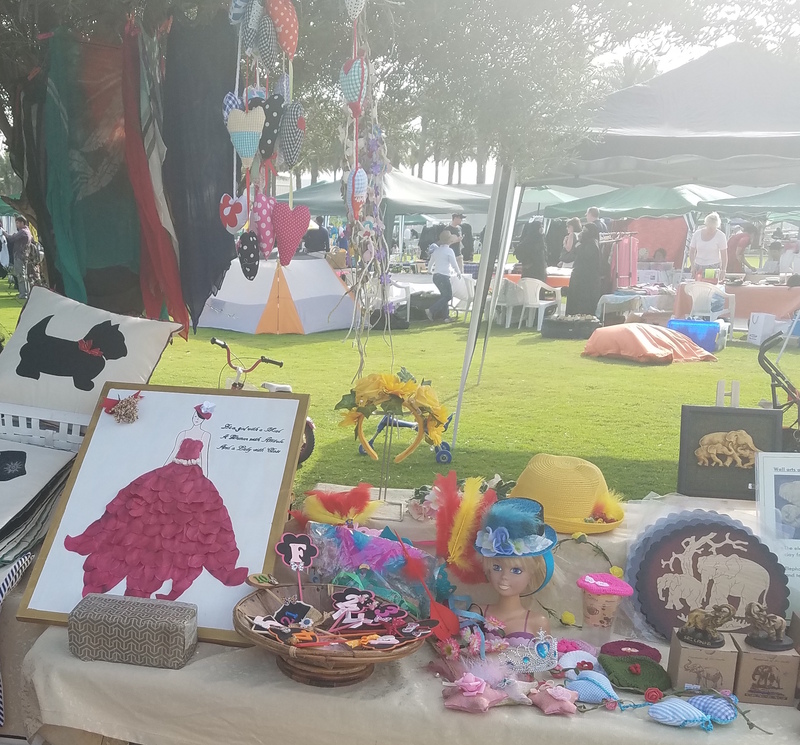 Despite slowdowns in consumer demand and general economic activity, there is evidence of alternative economic behavior and microenterprise that is thriving in the Gulf. 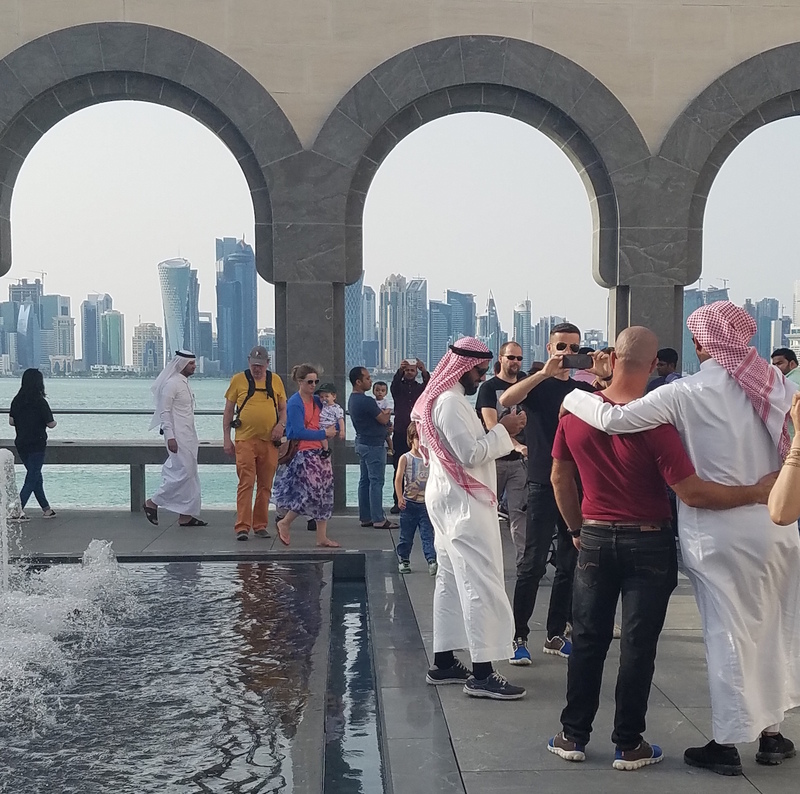 In Doha, in a beautiful public space created with massive government investment in the corniche and museum sector, citizens and foreign residents have appropriated a park as a flea market and outdoor food hall. The government surely did not intend its Museum of Islamic Art, an architectural gem, to have its front garden littered with second-hand clothing and bric-a-brac from far-off places. Inside the museum, there are other signs of economic and social mobility, of people spilling into places where the government isn’t defining their economic rights. In many Gulf states, malls and retail spaces are for families only, in efforts to marginalize low-wage male migrant workers from society. 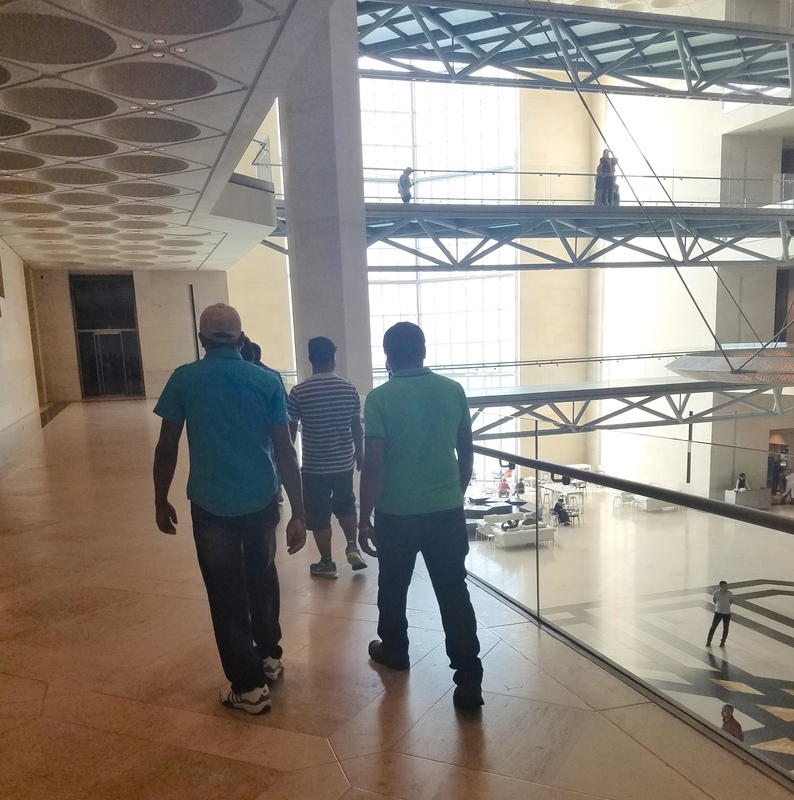 In Doha, in the Museum of Islamic Art, on a Friday afternoon there were groups of male workers milling about in the café and exhibit spaces. The economic reform agenda affects citizens and foreign residents alike, often with foreigners bearing the brunt of visa fee hikes, municipality fees, and consumption taxes. People in the Gulf are dealing with enormous uncertainty in their economic future. In the spaces where governments can retreat, rather than leaning in on regulation and fees, it can be a positive force for the growth of burgeoning private sectors, entrepreneurship, and social mobility.